Follow the winding driveway to unveil your familyâs new adventure today. This breathtaking and luxurious estate is tucked away on 13 manicured acres, with an addâl 87 for sale. Luxury and privacy meet an active lifestyle with a one of a kind infinity pool, and outdoor activities like hiking, riding dirt bikes, sledding, horses, wildlife, 4 wheeling, etc. A true masterpiece, this home is welcoming and cozy at the same time, built by Tackett, with the highest quality finishes and attention to detail. Walls of windows with expansive views for miles. Entertainers dream home w/ wide open space, 3 wet bars, wine cellar, theatre, suana, work out room, billiards room, the list goes on. The den and trophy room are simply stunning with cherry wood walls and floors, soaring ceilings and a cozy fireplace. Endless privacy with Mount Michael to the north, Elkhorn river to the west, a private acreage to the south! 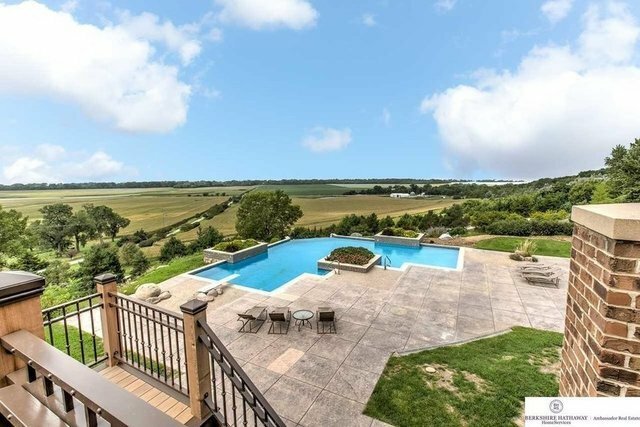 Come enjoy this breaktaking estate, rarely seen in Omaha today. 10 mil + to reproduce.